Temple Nile Casino is a fairly new kid on the block being established only back in 2018. It’s just one of many to try and make a mark on the ever-growing online gambling industry and as such, I think it needs to have something special to stand out and even give it a chance of competing with the bigger, already-established players. To that effect, let’s take a look and see what’s in store. A crucial part for any casino, does Temple Nile Casino have a good, varied selection of games to draw new players in and keep existing ones? The short answer is yes. 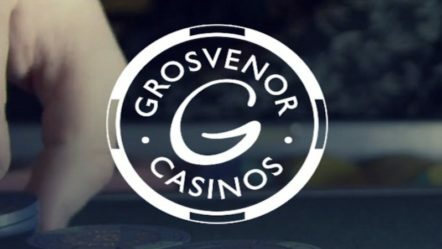 Many of the big players like Play N Go, Netent and Microgaming all have games on offer here which means you can play some of your favourite slots like Gonzos Quest slot. Of course, we know many you appreciate table games like roulette and they have a pretty good selection of these types of games also. 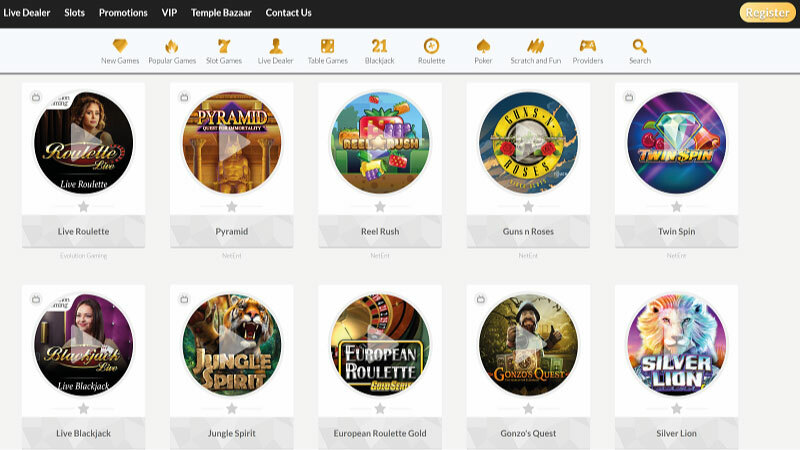 Powered by the likes of Netent and Evolution Gaming, you can play some high-quality games likes Roulette, Baccarat, Blackjack and many others. It’s not the most extensive selection we’ve ever seen, but it’s pretty good, especially for a pretty new casino. Temple Nile’s website is pretty elegant and gives the impression of a glamorous casino. There’s a fair share of glitz and glamour, but it’s done in a nice way so as not to be tacky. Most of the site is fairly simple too with a simple, white background. I think the homepage is a bit hectic at the top with the entire screen (until you fold down) an incentive to sign up with fast moving background images. I didn’t really like it, but it’s not terrible. The site loads pretty quickly but scrolling down can result in a bit of lag as all the games load. There are a few things I like about the way the games are presented. For a start, you can hover over them to reveal a demo of what it’s like without actually leaving the page or signing up. You can also easily add a game to your favourite which is a great idea and a simple feature which not all casinos offer. Navigating is pretty easy thanks to the navigation bar which sticks to the page as well. As the mobile gaming industry continues to grow, it’s becoming ever more important to allow your customers to easily play games on the go. I must give credit to Temple Nile’s website design for mobile devices which is simple, clean and efficient making mobile gaming mostly straightforward. However, many casinos now offer apps for at least one mobile platform, if not both, and it would be nice to see Temple Nile Casino follow suit. You do have to remember that these guys are pretty new though, so I’m sure in time apps will follow. This is one of those things that you hope you never need, but it’s certainly nice to know if the casino you’re playing at will bother to respond to your messages quickly. The good news is that, aside from the more common methods of communication like phone and email, you can contact them via live chat 24/7. As you’d probably expect, Temple Nile Casino use SSL encryption technology to ensure your data is safe. They’re also regulated by the British Gambling Commission, the Swedish Gambling Authority and the Malta Gaming Authority.